Here is one you don't see everyday. It is from the Wishcon III convention back in 1993. 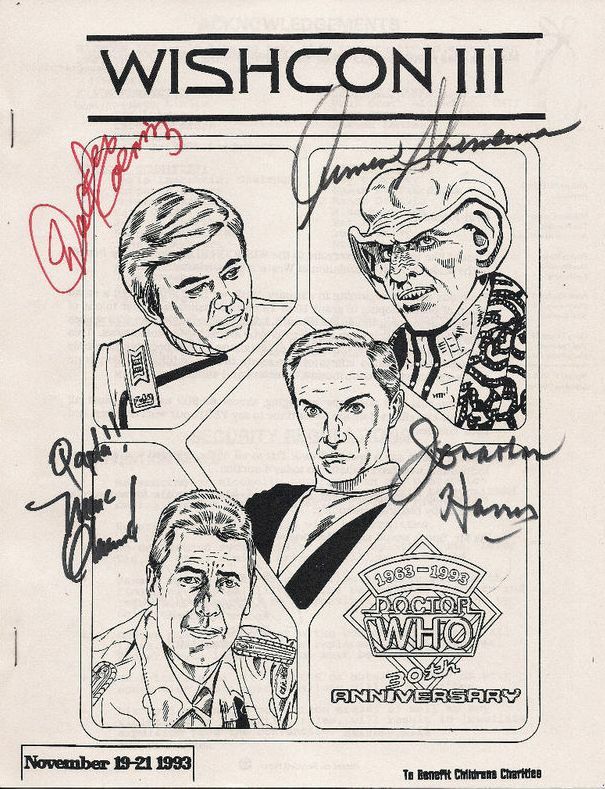 It is an paper convention booklet. 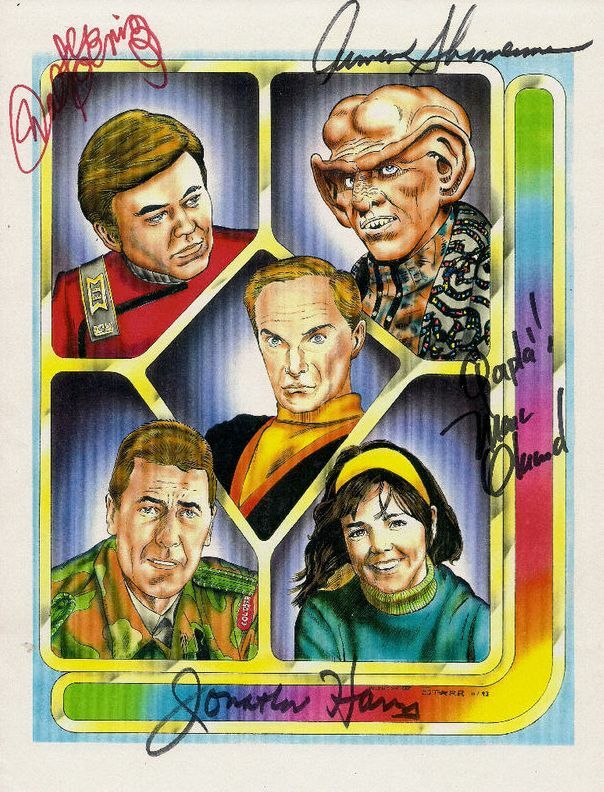 Signed by Jonathan Harris (Lost in Space), Armin Shimerman (Star Trek: DS9), Walter Koenig (Star Trek) and Marc Orkrand (inventor of the Vulcan and Klingon languages).